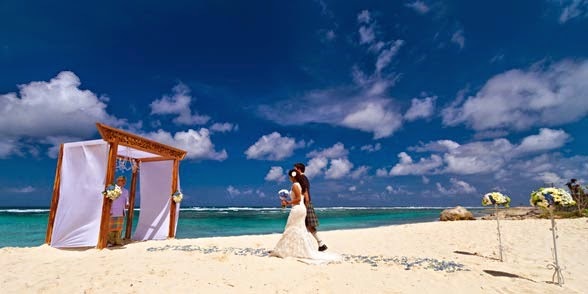 Although Canon Law makes no stipulation regarding whether a Catholic may attend an invalid wedding ceremony, moral law most certainly prohibits Catholics (and, sometimes, also non-Catholics) from attending. In this article, we hope to shed some light on what can be a rather difficult question. Difficult not only because of personal ties to those involved in the wedding service, but also because many priests spew forth variant opinions which (howsoever subtle and delicate they appear) lack any substantial foundation in moral law or the Catholic tradition. Jesus began to show his disciples that he must go to Jerusalem and suffer greatly from the elders, the chief priests, and the scribes, and be killed and on the third day be raised. 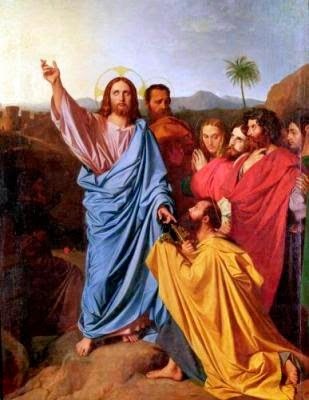 It was not by coincidence, but rather according to the divine will that our Savior gave his apostles the first prediction of his passion only after he had indicated the establishment of Peter as prince and supreme Shepherd of the Church on earth. Christ knew that the faithful would be unable to bear his bitter passion without the visible sign of unity and peace given us in the Pope. And, if the passion of Christ is too great to bear without the Papacy, it follows necessarily that none can embrace the spiritual meaning of suffering without the guidance, support, and protection of the Holy Father in Rome. We continue our discussion of various issues related to repentance after the commission of a vasectomy. 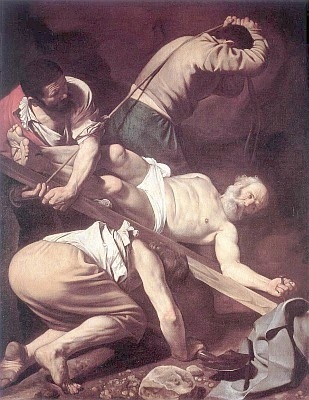 In our earlier article [here], we discussed why a reversal would sometimes (even oftentimes) be required in order to receive sacrament absolution after a vasectomy – though it is not mandated as relating to the amendment of life, but seems to be closely linked to true contrition and repentance when the reversal procedure can be obtained without excessive cost, pain, or danger and when the couple is of child-bearing age. To our earlier question, we may add another: Can a man who has had a vasectomy validly contract marriage without getting the vasectomy reversed? The simple answer to this question – “Is a reversal required for marriage?” – is, “No, a reversal is not required.” However, again, there is much to consider; and, in some cases, a reversal would seem to be required by the conscience of the individual (even if not by the law of the Church). The whole question will hang on the following point: Is a vasectomy only “sterilization” (as it is commonly assumed to be), or does it cause impotence? While it would seem a silly question, we will see that impotence is defined in a broader way than many assume. Can we pray for aborted babies? Did Pope Francis? So runs the headline at the Catholic News Agency website [here]. But the article fails to support the headline. Indeed, while it is clear that Pope Francis prayed at a monument for aborted babies, the text of the prayer is not given – it seems that the prayer was offered in silence, and perhaps we won’t ever hear exactly what our Holy Father said. There is a theological problem when we it comes to praying “for” aborted babies – Are we to suppose that they are in purgatory? If so, What sin did they commit for which they must suffer purification? If not, Why would they need our prayers? And I say to you, you are Peter, and upon this rock I will build my church, and the gates of the netherworld shall not prevail against it. We do not hesitate to assert the Christ Jesus is the true rock upon which the Catholic Church is built – how could there be any other? And yet, we likewise affirm that Peter is the rock upon which Christ has built his Church; for the Greek is clear: “Peter” is petros while “rock” is petra, and the Aramaic would be clearer yet as the one word used for both was cepha. It is as though Jesus said, “You are Rock (Petros/Cepha) and upon this rock (petra/cepha) [which is you], I will build my Church.” Christ is the rock and Peter is the rock, Christ is the foundation and Peter is the foundation. A man’s faith is founded upon Christ, only if it is founded upon Peter’s confession. Christ is the rock of the Church, only if the Church is set upon the rock of Peter’s profession of faith. Let us consider why it is enough for the Pope to be infallible (i.e. unable to err in teaching), even if he is not impeccable (i.e. unable to sin). On praying for our children. Why a Catholic parent must not attend the invalid marriage of a child outside the Church. Why a parent must not force a Catholic marriage on his children. Why a Catholic grandparent should not force a catholic baptism on his grandchildren. The essence of the dogma. The proof from the Tradition. 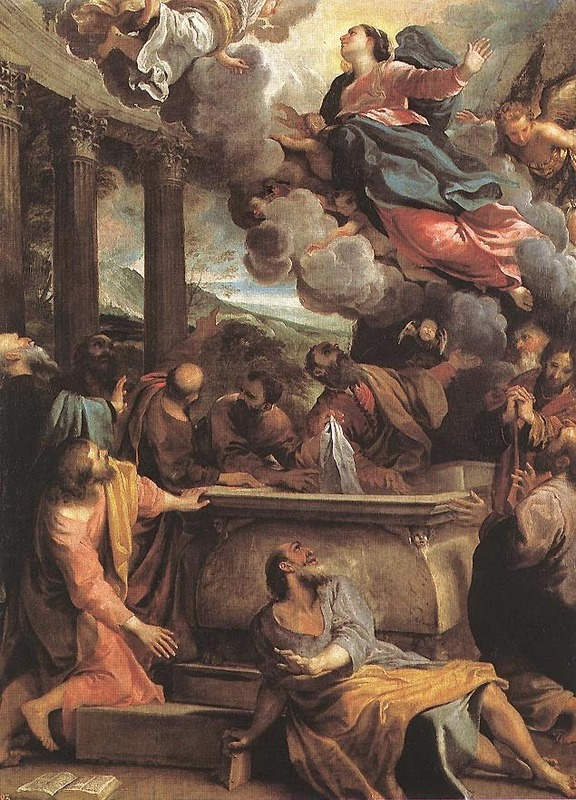 What the Assumption looked like: Mary lived 15 years after Jesus' Ascension, was dead for 15 days, and then was Assumed to the wonder of angels and men alike. Recently, I had a discussion about proper administration of the sacrament of Penance regarding a man who confesses having had a vasectomy. This is the question: must the man who receives a vasectomy, in order to receive absolution validly, seek a reversal of the vasectomy? The simple answer – “Is a reversal required for absolution?” – “No, a reversal is not always required, but YES it is often required as following from true sorrow for the sin.” However, there is much to consider. In answering this question, we will also answer the related question: Can I be forgiven for having a tubal ligation? When did Mary die? and For how long was she dead? When Pope Pius XII solemnly defined as a dogma of the faith the Assumption of the Blessed Virgin Mary, body and soul, into the glories of heaven, he also taught as belonging to the ordinary and universal magisterium that Mary did die before her body was raised and glorified. And so, we may wonder, When did Mary die? For how long did her holy body lie in the tomb? And, What was the Assumption like? In this matter, the private revelations given to St. Bridget of Sweden help to fill out the common teaching of the saints and theologians. This homily as given to a family with whom I had traveled to Italy and had visited the holy sites of Assisi. The example of St. Jane Frances de Chantal. Have pity on me, Lord, Son of David! My daughter is tormented by a demon. Our Savior, willing to be conquered by the prayers of the Canaanite woman, did not disdain to free her daughter from demonic oppression. This mother's prayers won the mercy of Jesus and inspire all parents as they entreat our Lord for every good thing for their children. How is it that our prayers for others can be of value? What can a parent do to pray more effectively for his children? Why does God seem at times to ignore our petitions for the conversion of children, relatives, and friends? The example of this woman will profit is greatly as we answer these questions. Can I merit salvation for another? The Baltimore Catechism offers a simple definition: "Merit means the quality of deserving well or ill for our actions." Merit can be understood in two respects: condign merit and congruous merit. Condign merit (de condigno) refers to an action which of itself has a value so as to require as a matter of strict justice some response on the part of another. While congruous merit (de congruo) intends those acts which do not strictly demand a particular response by their own interior value, but may gain such response on account of the bonds of friendship with the other. Thus, we state that Christ alone can claim to have merited condignly the salvation of others. He alone offered that which is of infinite value so as to make perfect satisfaction for every sin. On the other hand, a man may merit his own salvation in one respect de condigno and in another de congruo. 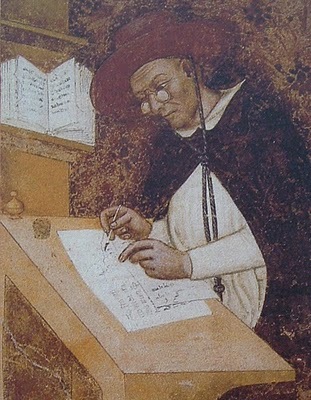 For, if a meritorious act (that is, a good work accomplished by grace in the state of grace) is considered as a work of that man, it is meritorious de congruo, since his act can in no way be considered equal to the gift of salvation but can claim a certain right to it on account of the friendship his soul enjoys with God. Yet, if the work be considered on the be considered on the part of the Holy Spirit who inspires the good action, it is clearly said to merit eternal life de condigno since the action of God is of infinite value. The Angelic Thomas speaks well when he states that Christ alone can merit salvation for others in terms of strict, condign merit. However, although a man may (in one respect) merit salvation for himself in a condign manner (the work being considered as proceeding from the Holy Spirit), yet he can in no way merit condignly for another since the grace of God is given each one for his own salvation and the grace of one is not sufficient unto the salvation of another. Still, on account of the great friendship which a soul enjoys with the Good God by the union of charity and the gift of grace, a man may well expect to merit congruously both the conversion and the salvation of others. Indeed, if we who are wicked do not fail to love those whom our friends love, how much more will our Father give many graces to those whom we love when we invoke the Lord who has made himself our dearest Friend? Thus, for one in the state of grace and a friend of God, it is entirely possible to merit the salvation of others by congruous merit. We do this especially through prayer and sacrifice offered for the conversion of sinners, the perseverance of the just, and the salvation of all. How can I offer better and more effective prayer for my children? The woman of Canaan is presented as a model of prayer. In particular, we see in her an example for parents who pray for their children. We turn to the great scholar, Fr. Cornelius a Lapide. "Contemplate the ideal of perfect prayer, and imitate it. This woman of Canaan teaches us to pray. "1. With great humility, in that she acknowledges herself to be a dog. 2. With faith, because she calls Christ the son of David, i.e., the Messiah, the God and Saviour promised to the Jews. 3. With modesty because she sets before Christ the right of dogs and her own misery; yet does she not draw from thence the conclusion that Christ should heal her daughter, but leaves that to Him. 4. With prudence, in that she takes hold of Christ by His own words, and gently turns His reasoning against Himself, into an argument for obtaining her desire. 5. With reverence, with religion and devotion, because she made her supplication on her knees. 6. With resignation in that she did not say, “Heal my daughter,” but “help me,” in the manner which shall seem to Thee best. 7. With confidence, because although a Gentile, she had a firm hope that she would be heard by Christ. 9. With charity, in that she made intercession for her daughter, as if she were anxious for herself, saying, help me. 10. With constance and perseverance, in that she persisted when she was twice repulsed and became yet more earnest in prayer." We add that a parent has all the more reason to expect that his prayers for his children will be answered, for it was to him that God entrusted the children not only for their natural life but also for the right beginnings of their formation in the spiritual life. Since Jesus gave the parent his children, the parent's prayers have all the more power over the Sacred Heart of our Savior. Indeed, whosoever is entrusted by God with the care of souls -- and here we think especially of priests in pastoral assignments, truly called "father" by those under his care -- must have a particular claim to gaining grace for his children by congruous merit. Parents may pray like this: "Lord, you gave me these children and put them under my care. I have, for my part, given them back to you through the waters of baptism and the practice of the faith. Receive my children again this day, oh Lord, as I beg you, have mercy! You know what my children need far better than I, in my great blindness, can hope to know. You love them with a love infinitely great than the love of which my poor and too cold heart is capable. And, what gives me the greatest hope, you are far more powerful than I. Receive them, Good Jesus, and in your mercy give them, together with every good thing, continual conversion of heart, perseverance in grace, and eternal life." If we see that a parent can gain conversion and perseverance for his children by congruous merit especially through prayer, there are three points to be observed. First, the parent’s works and prayers are meritorious for his children only insofar as he is a friend of God. As this friendship is wounded by venial sin and destroyed by mortal sin, it is clear that a parent's prayers will be meritorious only if he be in the state of grace. Thus, sin must be avoided. Again, as attachment to sin wounds and impedes divine friendship, a parent's prayers and works will be more meritorious as he is less attached to sin. While it is true that we cannot in this life be entirely free of venial sins, we may at least be free of attachment to all sins. Finally, the parent will gain the victory if he persevere in his prayer. In this respect, we warn against the passion of sorrow which can quickly lead to discouragement and spiritual sloth, eventually making the parent to give up on prayer. But, if we persevere in prayer and are free from sin and attachment to sin, we can be sure that God will not only give us the grace to be resigned to his will, but will also either fulfill our desire or give something even greater. Please note -- These Masses were all in the Extraordinary Form, following the more ancient calendar. Friday, August 8 -- St. John Vianney, Who is the priest? Prayer is necessary for salvation, but how do I learn to pray better? There are three primary obstacles to growing in the life of prayer: Sin, Attachment, Distractions. This homily discusses how to persevere in the midst of distractions at prayer, following St. Teresa of Avila. During the fourth watch of the night, he came toward them walking on the sea. The four properties of the risen and glorified body -- namely, clarity, subtlety, agility, and impassibility -- where at various times in the life of our Savior revealed after the mode of a foretaste of things to come. 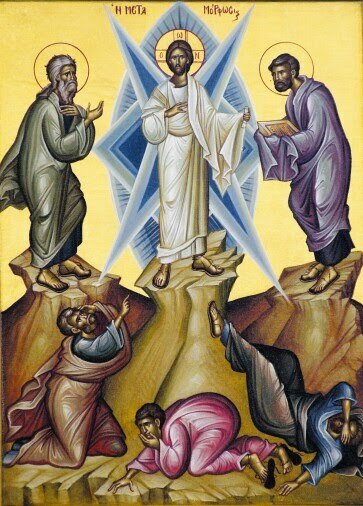 Last Wednesday's feast of the Transfiguration most clearly points toward the resurrection and glorification of our Lord's sacred Flesh. On mount Tabor, the clarity which is a proper quality of the risen body was present in Christ after the mode of a transient passion. When our Lord walked on the water to visit his apostles tossed about by the waves, he prefigured the quality of agility. After a two year hiatus, we have determined it is well past time to return to blogging. Though it is true that the life of a parish priest is quite busy, yet the greatest priest-saints, who were far busier than we, never failed to dedicate much time to catechetical instruction and popular writing. Indeed, the Angelic Doctor also, in his final assignment wherein he was entrusted with the pastoral care of souls, did not disdain to give popular conferences not in Latin but in the Neapolitan dialect of the people. Therefore, we too intend to dedicate our time and energy in this blog not only to popular catechesis for the edification of the faithful, but also to pastoral reflection for the benefit of our brother priests who labor tirelessly for the salvation of souls in their ministry. "Some people, even priest, will say that the real miracle wasn't that Jesus multiplied the loaves to feed thousands, but that Jesus got everyone to share. We should respond that the real miracle is that anyone could be so foolish as to think we would believe something as absurd as that! Of course, Jesus multiplied the loaves!"